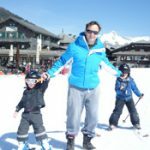 Les Gets has been voted several times as a top resort for families (most recently by the Telegraph). With its pedestrian-friendly village centre, ice rink and central square where free welcome drinks are offered every Monday; its extensive beginners area on the mountain and village nursery slopes and sledging run, Les Gets is a firm favourite for family ski holidays. To make things even easier, our chalets are all within walking distance of the slopes, ESF meeting points, the snow garden and town centre, so tired little legs won’t have far to walk after a day on the slopes. Chalets Forestiere and Elise are just 2 minutes from the piste. 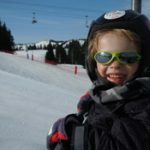 The resort has a weekly calendar of events designed to keep you and your children entertained, and there is a ‘petit train’ which runs through the resort from the Chavannes lifts to the Mont Chery area. Boop boop! "Le Petit Train" road train shuttle. American Indian themed ski park for kids. Just 1 hr from Geneva airport. We have chalets 2 minutes from the piste. Part of the vast Portes du Soleil ski area - 650km piste. Children aged 6-12 will receive a 20% discount, children aged 2-5 will receive a 50% discount, and there is no charge for infants. We have had the most fantastic family holiday. Chalet is great and the hosts are even greater! Rick and Charlotte have been so fun, kind and helpful – nothing is too much trouble. 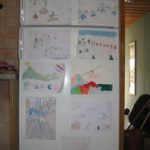 The children have had a ball and no doubt think this is what all chalet holidays are like (if only!). Nothing was too much trouble and you’ve made our holiday very special. I had a brilliant time in Chalet Forestiere. The food was brilliant and the accommodation was amazing. Please don’t send me back to school! After a year of planning, this has been the best family holiday ever. Food was terrific, I need to go on a diet. The children loved it and its been great to see them learn to ski, we will be back! Children aged 3-4 can enroll with the snow garden, and join “Club Piou Piou”. Half the time is spent learning how to ski in a really fun environment, and the rest is spent playing indoors and outdoors. “Ourson” is the next level up for children aged 4-5. Here, children go up the red bubble lift to the magic carpet and beginner area. More on Club Piou Piou and Ourson. This beginner area has 4 lifts, well groomed pistes and a technical area that’s themed like the wild west (! ), where children are guided over bumps, narrow runs and banked corners, finishing up in a tipi!! Conveniently, this area is near the top of the Chavannes bubble lift, so meeting up for lunch is easy peasy, and there’s no need to travel all the way back down the mountain. Why our boys have both private and ESF lessons. 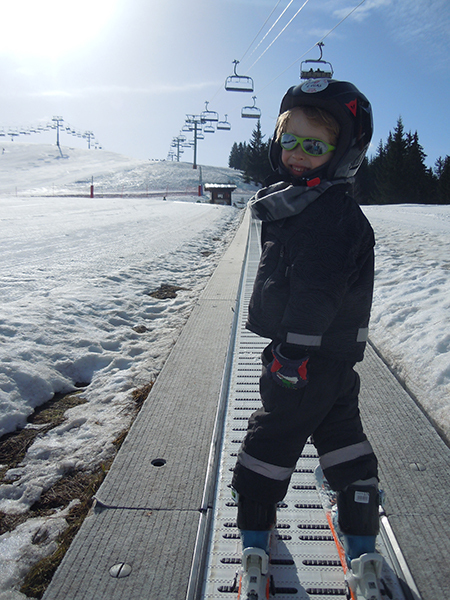 It has amazed and delighted us to watch Lucas learn how to ski this last winter.